In today’s reality that we live in, what stands out amongst the most vital inquiries relates to career and profession and it gets to be additionally difficult with such a variety of choices accessible to choose from. This book in nutshell discusses different techniques to help the reader to discover the most suitable career. In the wake of perusing the book the reader generally is furnished with all the devices to judge and select the career. The uniqueness of this book is that all the conjunctions and the blend to pick one’s profession are decently characterized with illustrations. 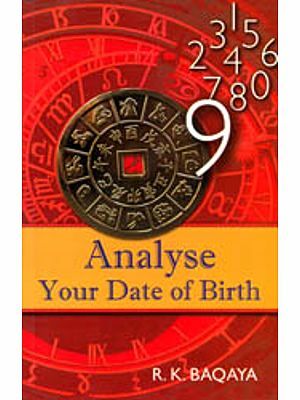 The book expounds the conventional and additionally the contemporary type of astrology to discover the right career. With earnest trust I plan to put this book in the readers’ hands so that the readers will have the capacity to infer the learning that the writer needs them to secure. Mr. Sanjeev Gadhok earned his technical qualification in Delhi and in the wake of forays in a specialized field for quite a while, he decided to study astrology. We all have some inquiry in life for which we look for an answer. This was the reason that caused him to head into the universe of astrology, which has now turned into a piece of his presence. Presently he not just interprets horoscope of the native but furthers education in Astrology. 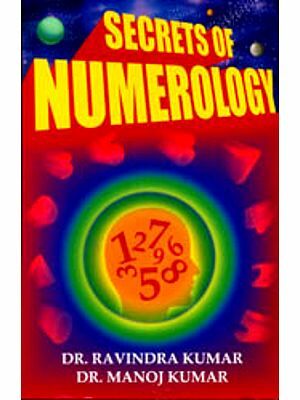 His strategy to approach and interpret horoscope is an amalgamation of Vedic astrology, Nadi astrology, KP Astrology, Theory of Cuspal Interlinks, Tarot reading and Vastu: consequently providing for him favourable element and profound knowledge to foresee the whole course for any single person. I had been attracted to astrology and occult sciences since my childhood. Later years made me take up astrology as a profession. I made expectations about impending occasions and guided individuals into taking fitting choices at basic focuses in life based upon the patterns that planetary arrangements anticipated. The greatest test that I confronted was the level of exactness of forecasts. The main jump in this methodology has dependably been getting the careful time of conception. Circumstances overarching at time of conception in healing facilities or home, the pressure and necessity of undertaking around then, unavailable rooms, various distinctive sorts of individuals in different states Of work and brain, make it well-near difficult to note and record the careful time of conception. My quest to overcome this challenge took me to study further and further and delves into various branches and offshoots of astrology viz. Vedic astrology, Nadi astrology, K P astrology and theory of Cuspal Interlink and the most important horary astrology. Despite all my single-minded pursuit and devotion, however, I remained very restless about how to help people –my countrymen and others-- in making correct decisions at critical junctures in life, so that they can live faithfully and peacefully. My mind wanted in particular to reach out to young people, who are going to mould the future of this country, to help them to overcoming anxieties and making correct career-choices. I confided these thoughts to some of my close acquaintances and they advised me to write a book for the guidance of the young. It caught my fancy and this, coupled with a directive from Sai Baba, resulted in this book which, I fancy, will be in the hands of my young friends and help them in life. We are a widespread substance and are hence a piece of the universe. The state of universe at our minute of conception on Earth has a settled and unmistakable position of eminent bodies, including planets, that gets fixed as a record which decides the example of entire of our life. All heavenly bodies are in motion and keep changing their positions. The changed configuration of the universe at various points of time influences our life in various ways. Although movement of all heavenly bodies causes this influence, maximum impact is that of the Sun and its planets and satellites and phenomena associated with the Solar System since we are concerned with life on Earth and the Earth is a part of the Solar System. As the changes are constantly taking place, our life is constantly influenced by these. If we can somehow read the future events beforehand, we can handle situations better and can take correct decisions. With the movement of planets there is a movement in human destiny. Our destiny is pre written according to our past karmas and is played out in the present life. These planets play a major role in bringing about these major scenes of our life to picture. Thus, planets not only have astronomical, but astrological value as well. More so, in the Hindu classical mythology, they are worshiped as deities. That is where Astrology helps us. Astrology is nothing but the study of these influences with respect to planets positions. In other words it is the study of the power of cosmos on the life on earth. Vedic astrology is India’s gift to the world. It has its roots firmly entrenched in our culture and religion. Hindu mythology and religion are inseparable from Indian astrology. According to this theory, our destiny is created by the almighty. Astrology acts as a tool to read it. Just like a movie, our life has a story-line complete with emotions, actions and a befitting climax of death. But life’s journey is incomplete without learning. We learn throughout our lives but here we will talk about formative learning or education, which moulds us and builds us and decides what we do in our lives to earn a livelihood. Before we start reading about what astrology is and how it affects our career and life, we must serve ourselves with an introduction to the professional world. Now, as kids, we have always been told that our career is the most important factor and we must choose it carefully. So for all those who are still beginning to figure out what their careers could be, let us have close look at what all you can think of as a career-option. Since it is something that you may have to follow throughout your life, it has to be chosen very carefully. Your skills and talent are of course important but what most of the people tend to forget is your interest. Interest is a very important factor because if your career is out of your interest-zone, however talented you might be or whatever level you reach with practice, you will never be satisfied. So, always try to keep your interest areas into focus while choosing your career.